An Angel for your Thoughts? Sometimes I need a little visual inspiration to get through the day. The most comforting for me are angel images that look like they’re helping out, protecting, shielding or even “granting” a wish or a prayer. 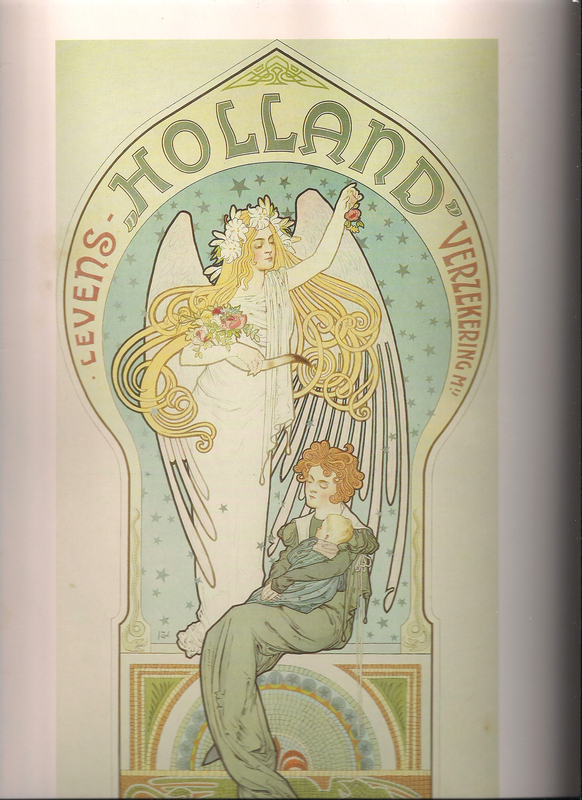 This is one of my favorite images which was taken from the cover of an art book: Art Nouveau which was compiled by Otto Lorenz and published by Galley Press in 1987. The book was printed in West Germany. The illustration appears on p.144. in the Table of Illustrations, the drawing is attributed to: J. Zorl. I like this one in particular, in fact it’s my wallpaper on my laptop because for me it symbolizes peace, protection, serenity and abundance. It looks like the angel has blessed the angel with a child 🙂 I meditated on this image and “asked” my spirit guides and guardian angel who this particular angel was and all I got was Sandalphon…but I interpret it as an angel under Sandalphon’s “kingdom” so to speak. From what I know Sandalphon is believed to be the twin of Metatron and is the angel who inspired and protects artists. Maybe this is why my creative juices start flowing when I stare at this image before I work. What is your favorite angel image if you have one? Feel free to share!